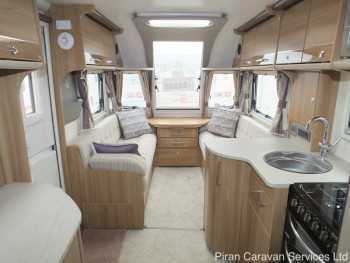 4 berth caravan with side dinette and large end bathroom. Good condition. Valeted but not serviced or damp-checked at this budget price. Comes with porch awning and extras. Ready to go! 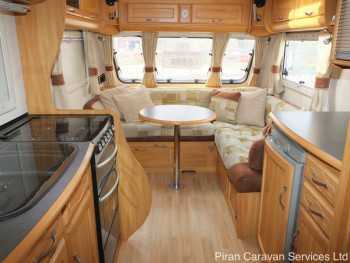 Great 4 berth caravan with side dinette and end bathroom layout. Will be valeted, serviced and damp-checked prior to sale. Comes with extras. Excellent value! Fantastic opportunity! Nearly new 2017 top of the range tourer with fixed single rear beds, motor mover, air awning and more! Under warranty and will be serviced and damp checked. Huge list of extras! Spacious lightweight 4 berth with a fixed bed on a single axle. Comes with full Isabella awning and lots of extras. Valeted, serviced and damp-checked. 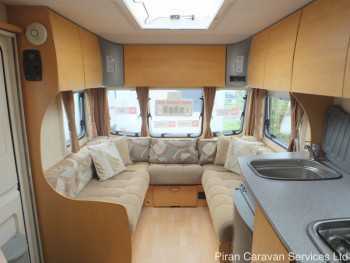 Great example of a 2 berth caravan with large large, and very spacious end bathroom. Comes with an awning and extras. Valeted, serviced and damp checked. Ready to go! 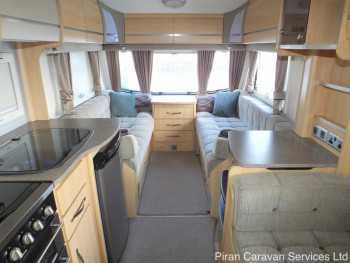 An exceptionally well-presented example of a high spec, 4 berth layout, with desirable fixed single beds. Comes with awning and extras. Valeted by us and serviced and damp-checked. Ready to go! 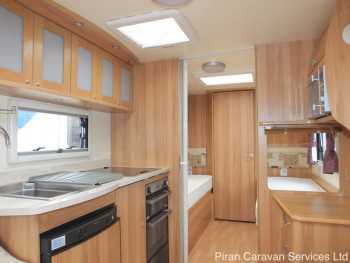 Top spec, 4 berth single axle caravan with side dinette and large end bathroom. 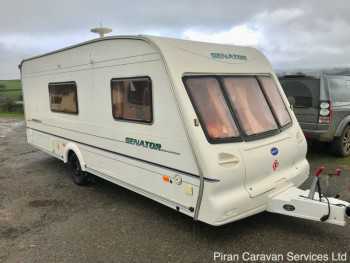 Comes with motor mover, Air Awning and more. valeted, serviced and damp-checked prior to sale. 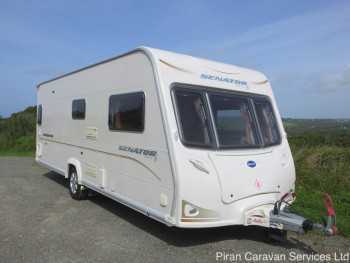 A large 6 berth continental touring caravan, on a single axle, with fixed bed and lots of extras including an awning. Stored under cover and full service history. 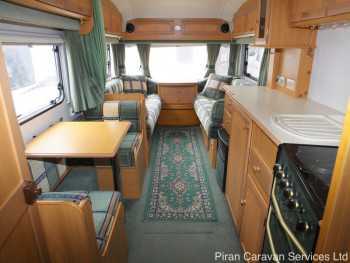 Fantastic 2 berth with large lounge and spacious end bathroom. Luxury equipment and fittings. Comes with porch awning, motor mover and extras. Valeted, serviced and damp checked prior to sale. Single axle, fixed bed and very high spec. Lots of extras included: PowrTouch motor mover, Dorema porch awning, tracker and much more. Valeted, serviced and damp checked. Ready to go! 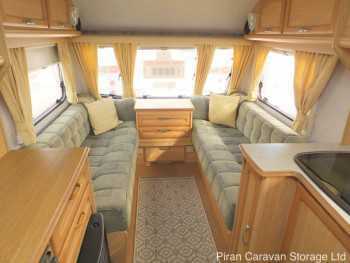 A fantastic 4 berth single axle family caravan with side dinette. and large end bathroom. Includes motor-mover, awning and extras. Valeted, serviced and damp-checked prior to sale. Exceptional value. 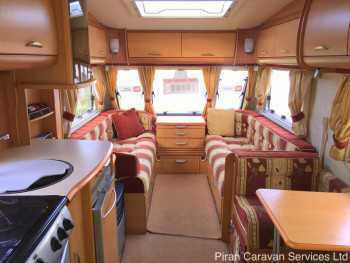 Lovely 6 berth caravan with double lounge layout, front L-shaped and rear double dinette, with bunks. Includes caravanning extras. Will be valeted, serviced and damp-checked.